The Montana Optics Innovator Awards are presented annually to individuals who have made an outstanding educational, technological or business contribution to the growth of the optics and photonics industry in Montana. For pioneering work in the test and measurement market place with the design and production of laser systems and precision pulse generator instrumentation products. Steve Birrell received his BA in Physics from MIT followed by a 3 year graduate study program at the University of Southern California in Fourier Optics, Nonlinear Optics and Lasers. With over 40 years of experience in the design and manufacture of solid state lasers and instrumentation for military, medical and commercial applications, Steve Birrell has been a leader in the Gallatin Valley for scientific based technologies and concepts. Steve is the founder of Quantum Composers and has remained the President and CEO since the company’s inception in 1993. For innovation in optical scatter technology and leadership in establishing and growing TMA Technologies, one of the Gallatin Valley’s first optical technology companies. John Stover received his PhD in 1970 from Purdue in Electrical Engineering doing non-linear optics. He taught at MSU for five years before moving into the infant Bozeman optics arena in 1985 to help start TMA Technologies. He is an SPIE Fellow and currently runs The Scatter Works, Inc. with offices in Tucson AZ and Gresham OR. For directing the Optical Technology Center and forming multi-disciplinary teams that broadened and strengthened optics research at Montana State University. Lee Spangler received his BA in Physics and Chemistry from Washington & Jefferson College and his PhD from the University of Pittsburgh in Physical Chemistry / Molecular Spectroscopy. He joined the Chemistry faculty at MSU in 1987 where he developed programs in molecular and materials spectroscopy. He was a co-founding member of the Optical Technology Center and in 1997 became its second director. For growing the first laser crystal, leadership in crystal growth and lasers, founding Scientific Materials Corporation and S2 Corporation, and serving as a role model for business-university partnerships. Ralph is a native of Montana and received his BS in Mechanical Engineering from Montana State University. Ralph joined Union Carbide in 1954 and was instrumental in the development of laser crystals and improved crystal growth systems. In the 1960's Ralph worked with many of the early laser pioneers including Ted Maiman in the development of the first lasers. In 1970 Ralph left Union Carbide to found in Bozeman Scientific Materials Corporation which grew to become a world leader in materials development. During his career Ralph was successful in utilizing SBIR funding in the development of his own companies as well as funding collaborative programs at Montana State University. One such program was ultimately spun out into a second company, S2 Corporation which grew to become a world leader in ultra wide band signal processing. Over the years Ralph has received many awards for his work in crystal growth and the application of crystal products. For excellence in optics research, education and industry collaboration at Montana State University. Rufus Cone, Fellow of the American Physical Society, received his PhD from Yale and BS from GaTech. A Distinguished Professor of Letters and Science and co-founder of Spectrum Lab, he joined the Physics faculty at MSU in 1974. Cone’s group develops materials for quantum memory, spectral holography, and solid-state lasers and has stabilized lasers to ultra-narrow spectral holes – an application now used by NIST in atomic clocks. For pioneering development and commercialization of laser diode instrumentation and the founding of ILX Lightwave Corporation, one of Montana's earliest photonics companies. Larry Johnson was the founder, President and CEO of ILX Lightwave Corporation from the company's inception in 1986 until it was acquired by Newport Corporation in 2012. Larry received his PhD in Optical Sciences from the Optical Sciences Center at the University of Arizona and his BS in Engineering Physics from Colorado School of Mines. In 2013 Larry became the first President of the Montana Photonics Industry Alliance. For pioneering development and commercialization of optical instrumentation and the founding of Orionics, Inc, the Gallatin Valley’s first optical technology company. Roger Robichaud is the Founder and President of Phenix FO and former Founder and President of Orionics, Inc. 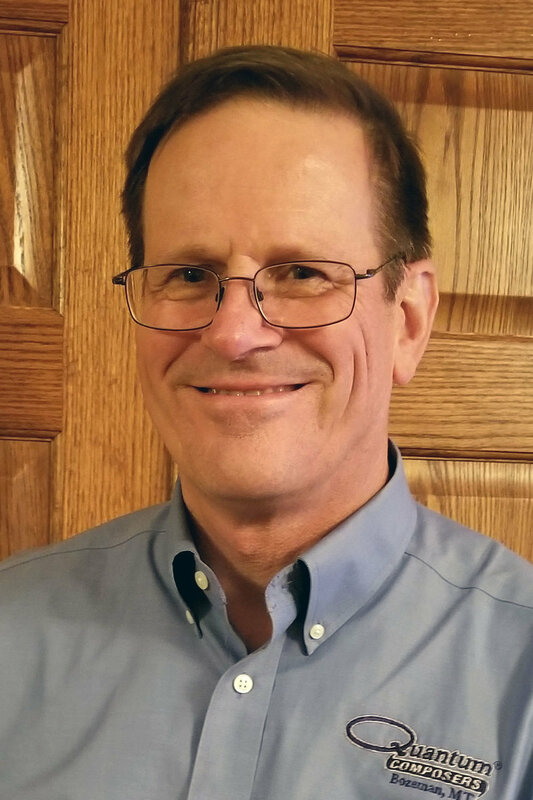 Prior to starting these companies Roger worked for EG&G in Los Alamos and currently has over 40 years of experience in the development, manufacturing, and marketing of innovative fiber optic instrumentation. Roger holds a BS in Physics from the Northeastern University. For pioneering leadership in establishing the Optical Technology Center and excellence in optics research and education at Montana State University. John Carlsten holds the BS degree in physics from the University of Minnesota (1969) and MS and PhD degrees in physics from Harvard University (1974). After a being at the University of Colorado (1974-79) and Los Alamos National Laboratory (1979-84), John came to the Physics Department at Montana State University in 1984 to teach and do research in nonlinear and quantum optics. From 1992 to 1997 John was the first Director of Optical Technology Center, formed to encourage the growth of optical research and optical companies in Bozeman.